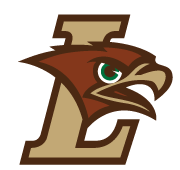 Virginia Tech came into the Lehigh Valley this afternoon and dominated a Mountain Hawk team that has been on a roll lately but looked mostly flat today. VT opened up the dual winning the first 4 bouts by pushing the pace before true freshman Josh Humphreys put a stop to the slide at 157. The upper weights featured many ranked match ups. In the battle of childhood friends Jordan Kutler bounced back from a loss to Zahid Valencia and knocked off David McFadden. ZZ took out Ryan Preisch with a feet to back 4 point move in the 3rd period. Tom Sleigh took out an undersized Chris Weiler who is back on the move to 197 for the rest of the season, unless a seeming injury to Preisch shuffles things up even further. Jordan Wood won a tactical match with former Edinboro big man Billy Miller. At intermission there was a girl’s freestyle match between a PA and NJ stud. Intros. Post match Coach Robie, Mehki Lewis, Zack Zavatsky , Jordan Kutler and Jordan Wood. 125lbs: Joey Prata (VT) dec. Luke Resnick (L) 5-1. 133lbs: #14 Korbin Myers (VT) dec. Brandon Paetzell (L) 4-1. 141lbs: Mitch Moore (VT) dec. Ryan Pomrinca (L) 3-1. 149lbs: Ryan Blees (VT) dec. Cortlandt Schuyler (L) 8-3. 157lbs: #17 Josh Humphreys (L) dec. B.C. LaPrade (VT) 6-1. Women’s Exhibition – Tatyana Ortiz dec. Chloe Ayres 7-2. 165lbs: #8 Mehki Lewis (VT) tech fall Kent Lane (L) 22-7, 7:00. 174lbs: #7 Jordan Kutler (L) dec. #6 David McFadden (VT) 4-2. 184lbs: 8 Zack Zavatsky (VT) dec. #7 Ryan Preisch (L) 6-2. 197lbs: #7 Tom Sleigh (VT) dec. Chris Weiler (L) 7-2.